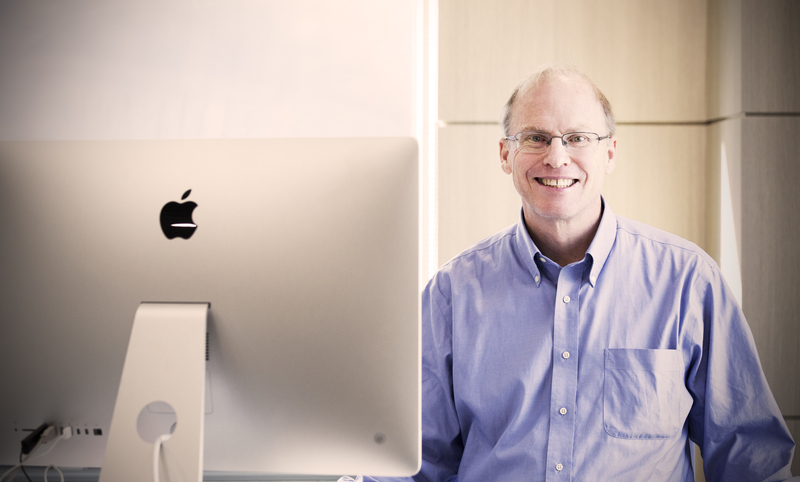 Distinguished Professor Rodney S. Ruoff from the Center for Multidimensional Carbon Materials (CMCM), within the Institute for Basic Science (IBS) at UNIST. 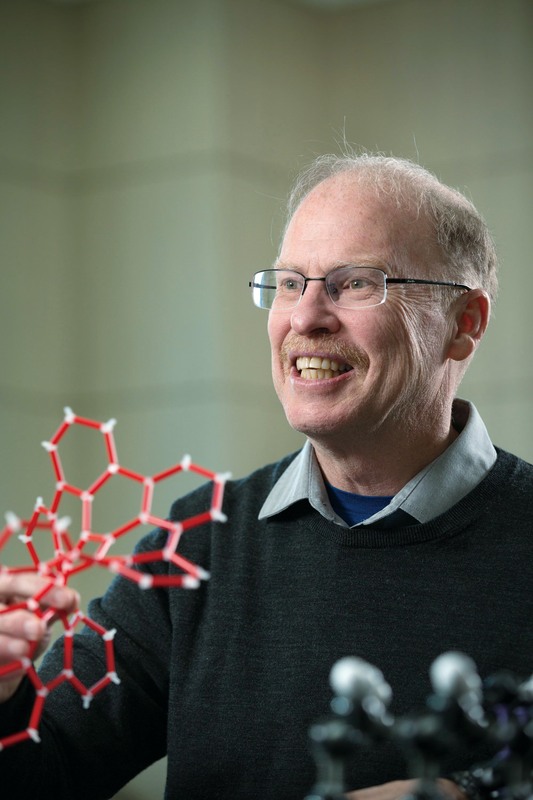 The work by Distinguished Professor Rodney S. Ruoff has been published in the March issue of JACS. The study discloses a new platform to attach chemical groups on graphene lying on a silica/silicon substrate. A recent study, affiliated with UNIST has revealed a new method to add chemical groups on (that is, to “functionalize”) single layer (SLG) and bilayer (BLG) graphene lying on silica/silicon. 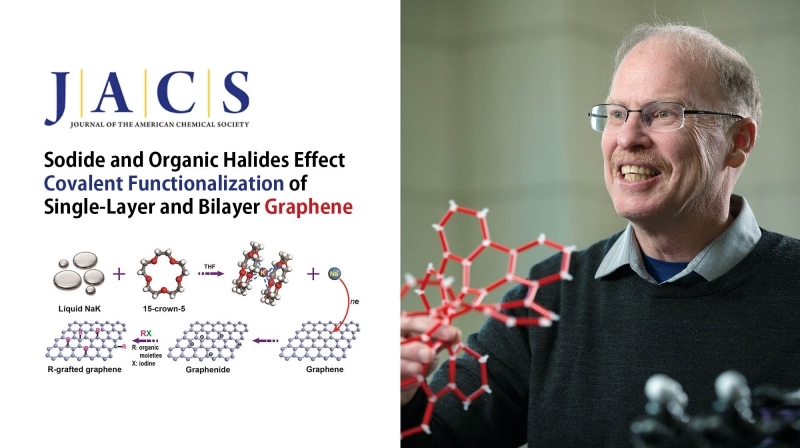 Their findings, published online in the March issue of the Journal of the American Chemical Society (JACS), suggest how decorated graphene serves as a platform to produce 2D materials with new characteristics. 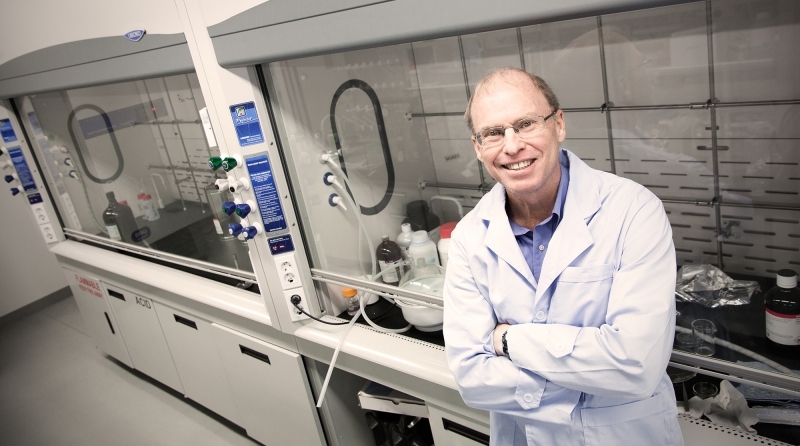 This study has been led by Distinguished Professor Rodney S. Ruoff’s team from the Center for Multidimensional Carbon Materials (CMCM), within the Institute for Basic Science (IBS) at UNIST, in collaboration with Renmin University of China (RUC), China and CEMES-CNRS and University of Toulouse, France. A single layer of carbon atoms packed in a honeycomb lattice, called graphene, is one of the most versatile materials ever made. Its excellent heat and electricity conductivity, combined with lightness and strength, offer compelling possibilities for a variety of useful functions. Figure 1: Graphene’s functionalization reaction. The sodium-potassium alloy (NaK) in solution forms a sodium ion (Na−) when it meets the crown ether molecule (15-crown-5). Na− reduces graphene and makes it more reactive towards other molecules (R). The “decorated” graphene has several potential applications. To better tune the properties of graphene, the use of functionalized graphene, that is graphene decorated with other chemical groups, has attracted extensive research interest. Such functionalized graphene could be applied to transistors, sensors, supercapacitors, drug delivery, flexible electrodes and polymer nanocomposites. Functionalization of SLG on silica/silicon has been previously reported, but when a BLG is used, the reaction turns out to be much more complicated. BLG has different reactivity because two graphene layers adhere to each other through what are known as van der Waals forces, make BLG more chemically stable and even unreactive for some reactions. Additional fascinating aspects include the reactivity of each of the layers in BLG and other factors that can influence the reaction. Figure 2: Energy scheme for the functionalization of SLG and BLG. Although BLG is more difficult to functionalize, both SLG and BLG can overcome the energy barrier, and thus be functionalized. 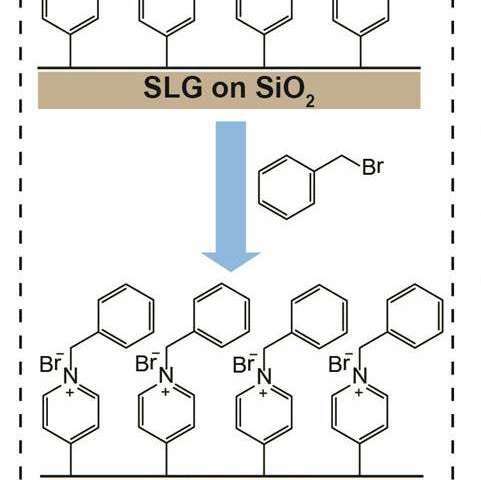 To compare and contrast reaction of SLG and BLG, the team produced flawless samples of SLG and BLG and made them more prone to react by immersing them in a mixture of sodium-potassium alloy (NaK) and a ring-shaped crown ether molecule (15-crown-5) in tetrahydrofuran (THF). This solution forms a negatively charged sodium ion (Na−), which reduces graphene by donating electrons to it, and allows SLG and BLG to react with other molecules more easily. Using this reaction, IBS researchers demonstrated that although BLG is less reactive than SLG, both of them can be functionalized. Moreover, by using a BLG with one layer of normal carbon and another layer of carbon isotope-labeled carbon (13C), the scientists clarified that both the upper and lower layers of graphene are decorated. Figure 3: Functionalized graphene allows additional functionalization. A schematic diagram showing the reaction between 4-pyridyl groups that were decorated on single layer graphene (SLG) and benzyl bromide. This sequential functionalization expand the applications of graphene. The team also showed that functionalized graphene can undergo further chemical reactions with other molecules, which would hardly bind to it otherwise for the reaction conditions used. For example, graphene functionalized with 4-iodopyridine can then further react with benzyl bromide. This is a particularly interesting approach, since graphene decorated with benzyl bromide can be used for sensors and can be decorated with more chemical groups, greatly expanding the ‘toolkit’ of options. “We envision that this method and platform will contribute to expanding the application range of graphene,” comments Rodney S. Ruoff, corresponding author of the paper. The online version of the original article can be found HERE.